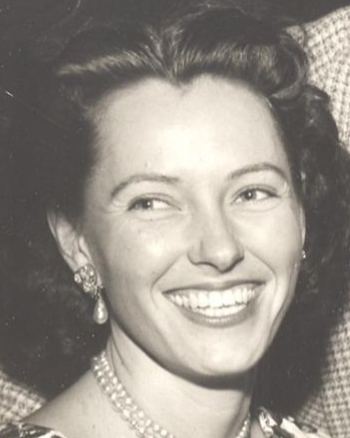 Marguerite Conroy, born Feb. 15, 1925 and passed away on March 20, 2019, left a legacy of love, graciousness and warmth to her family and friends. She was a graduate of Miami High in 1942 who had a knack for numbers and became an accountant at AN Brady Wholesale Hardware in Miami after high school. She married John F. Conroy in 1948 and had 4 daughters- Gale Davis, predeceased her, Patricia Conroy, Connie Smith (Mike) and C.L. Conroy (Patrick Borden); she had 4 grandchildren: Geoff Davis, II (Benita), Gwen Sina (Byron), Garrett Smith (Ellen) and Casey Smith. She had 7 great grandchildren. She helped build her husband’s business, Marvel Tile, by being the accountant and great supporter. Marguerite was active in the social and charitable worlds of Miami. She founded the Cotillion Club of Miami in 1949; the Coral Pines Garden Club in 1954; and the Bridge Club of Miami in 1958. She was president of Theater Arts League in the 70s. Marguerite was a supportive, loving person to not only her family, but also her broad base of friends, particularly Norma Deaton and Keawona Butler. A special thank you to Kea for the friendship and care she gave mom, along with Lisa, Samantha and Marina. Thank you to Katherine Lake, her nurse from Vitas for so many years. A funeral mass will be held at Our Lady of the Holy Rosary/St. Richard Catholic Church at 7500 S.W. 152 Street, Palmetto Bay, FL 33157 on Thursday, March 28, 2019 at 10:00 am. In lieu of flowers, contributions may be made in her memory to the Camillus House.